How Does a Vacation Home Rental Work? 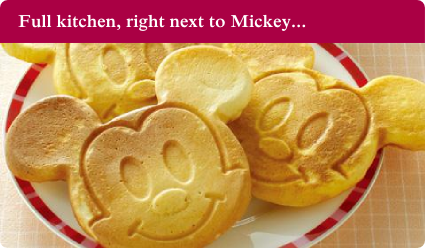 Vacation homes are typically 3- to 6- bedroom villas located near major attractions like Walt Disney World in Orlando. 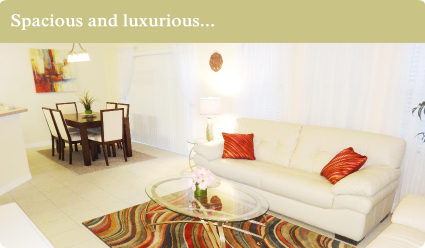 They are privately owned and equipped with all the amenities and furnishings necessary to make you feel at home. Vacation home rental is growing in popularity as more and more travelers see the value of staying in a spacious home, with a private living space, kitchen, pool and entertainment area to help you unwind and make the best of your time in Orlando. Search our Orlando and Kissimmee vacation home rental selection and picture galleries to find the property that best suits your needs. The CozyKey website allows you to search the calendar for availability of all our villas and book your reservation securely through our website. You will receive a confirmation email upon booking with check-in information and helpful hints to prepare you for your stay. 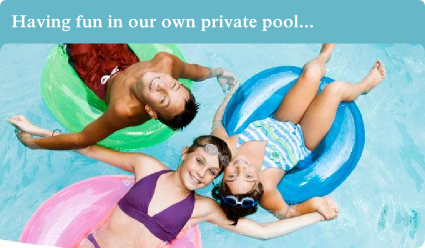 In booking your vacation home rental with CozyKey, you will have a dedicated staff on hand during your Orlando visit. Should you have any questions or need assistance, we will be available to ensure the quality of your stay. Whether you stay for a weekend, a week, or a month, CozyKey vacation rentals will offer the best in comfort and value for your Orlando vacation. CozyKey Vacation Rentals is a Central Florida vacation home management company dedicated to excellence in service. Our properties are held to the highest quality standards, ensuring that every guest experiences an unsurpassed stay in a CozyKey vacation rental home. We commit to our owners fifteen years of Orlando tourism expertise to ensure they get the most value from their vacation home ownership. Our staff is fluent in English, Spanish and Portuguese, and will work with you to create a personalized experience that caters to your particular needs. For more information on staying in a CozyKey home, or to contract CozyKey to manage your Orlando vacation home, please contact us.